With this product you can accumulate up to 135 Glitter Points. 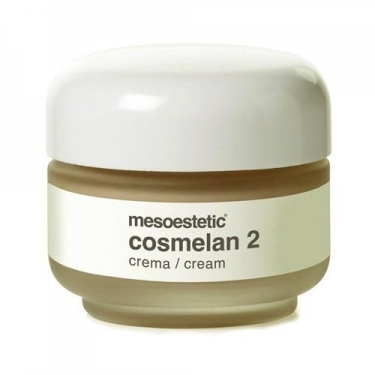 DESCRIPTION: Cosmelan 2 from Mesoestetic is an anti-stain cream for home topical use. 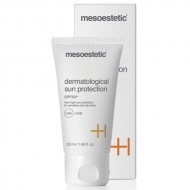 Its purpose is to attenuate and eliminate skin blemishes of melanic origin. This cream is part of the home routine and serves both to maintain the result obtained in the cabinet, and to prevent the appearance of new stains. 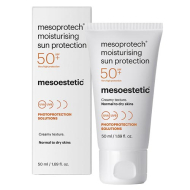 This is a topical bleaching treatment designed to eradicate or attenuate acquired skin blemishes of melanic origin. This at the same time as the skin tone is uniformized and the skin luminosity is increased. The application of Cosmelan inhibits the process of melanogenesis, paralyzing the production of melanin over a vast period of time during which the desquamation of the stratum corneum and the action of the macrophagic cells drag the melanin deposits. Good tolerance in all skin phototypes, since all Cosmelan formulas were elaborated rigorously to guarantee the maximum tolerance.